Lead qualification relates to evaluating the readiness, willingness and ability of a lead to become a customer. 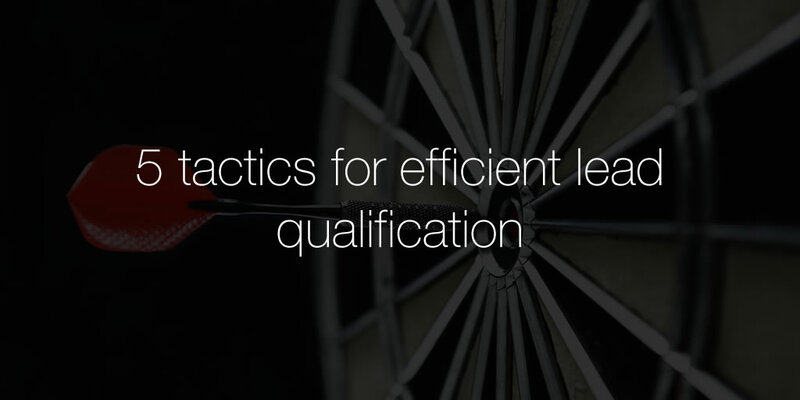 By applying proper qualification, leads that have the most chance of success are focused on, ensuring that your salesperson’s time is best spent and sales should rise as a result. By finding the characteristics that makes your most profitable customers so good, finding leads that match these closely will mean that they may be more worthwhile to pursue. This is where an acronym ‘BANTER’ can be applied to help decide who are the good leads. Usually your best customers will fulfill most of these qualities. BANTER concentrates on the best elements out of two lead qualification approaches BANT and ACNE to help salesperson to succeed in closing a sales deals. BANTER breaks down a lead into scorable qualities to help qualify leads and rank them in order. Budget – Does the buyer have the purchasing power and available funds to purchase? Authority– How many chains of command will the purchase have to go through? The more levels of hierarchy the more difficult the sale. Timing – How quickly does the lead need your product or service? Engagement – What is the relationship with the lead like? How has it been developed online/in person? Reactionary events – What has happened in the lead’s world that had made them look for your product? This may be a powerful driver in lead qualification if the event is severe. Your salespeople should have the intuition, experience and know-how to be able to describe what makes a worthwhile lead to pursue, and what information they need to close a sale. If you’re using a lead sign-up form, then asking your potential lead too many questions may put them off completing the form. Ask the basic essentials such as company size, years in operation etc. Roadblocks are certain characteristics or facts that should rule the lead out of being contacted. This could be for example if the lead works for a rival, or has a bad reputation for example.